Imagine a future where you tap an app on your smartphone to summon a self-driving car. Heard this one already? Okay, what about when your robot car drives into an airless tube hundreds of miles long and careens across country at close to the speed of sound? Now are you impressed? This completely outrageous vision of the future comes courtesy of Hyperloop One, the occasionally troubled Los Angeles-based startup working on Elon Musk’s vision of an ultrafast transportation system. The company is currently gearing up for its big “Kitty Hawk” moment later this year, when it will conduct a full-system test in the desert north of Las Vegas. But while we’re still a long way off from seeing a fully functional hyperloop in operation, Hyperloop One’s top executives are already thinking ahead to a future where lightning-quick travel is as commonplace as automated vehicles, and vice versa. Some of the startup’s top brass were at CES in Las Vegas earlier this month meeting with companies that are working on driverless technology to discuss possible mergers in their respective missions. In between meetings, I sat down with Hyperloop One co-founder and president of engineering Josh Giegel and Nick Earle, senior vice president in charge of global field operations, to talk about the company’s progress and when the world could see a working, passenger-ready hyperloop. Both met recently with representatives from two computer chip makers, Intel and Nvidia, to talk about their respective efforts to expand into the automated driving space, as well as with supercar company McLaren. But it wasn’t just about gushing over each other’s futuristic pipe dreams, Earle said. Rather it was about a realistic effort to find a way to link self-driving cars to the ambitious and costly transportation system. In talking to these companies, Earle says he describes Hyperloop One as the WAN, or wide area network, of transportation that should be able to interface with all the local area networks, or LANs. “We want any autonomous vehicle to go into our system,” he said. This is the type of starry-eyed thinking that gets the hyperloop routinely dismissed as a great-but-ultimately-outlandish idea. Critics say the costs alone — Hyperloop One’s own estimates put it at around $11.5 million per mile of tube — make it largely unrealistic. But Hyperloop One is barreling ahead, bolstered by $160 million in seed funding, green lights from countries like the United Arab Emirates and Finland, and faith that it is the company best positioned to make the dream of 760mph, tube-based travel a reality. It maintains that it will perform its first full-system test sometime within the first three months of 2017. In preparation, a team of around 60 engineers and contractors are busy building a test track at a site in North Las Vegas, near where the company conducted its first public test in May 2016. The test will feature a magnetically levitating pod using electromagnetic propulsion to travel a distance of 500 meters, or less than a mile, through an airless tube at a speed of over 100 mph. 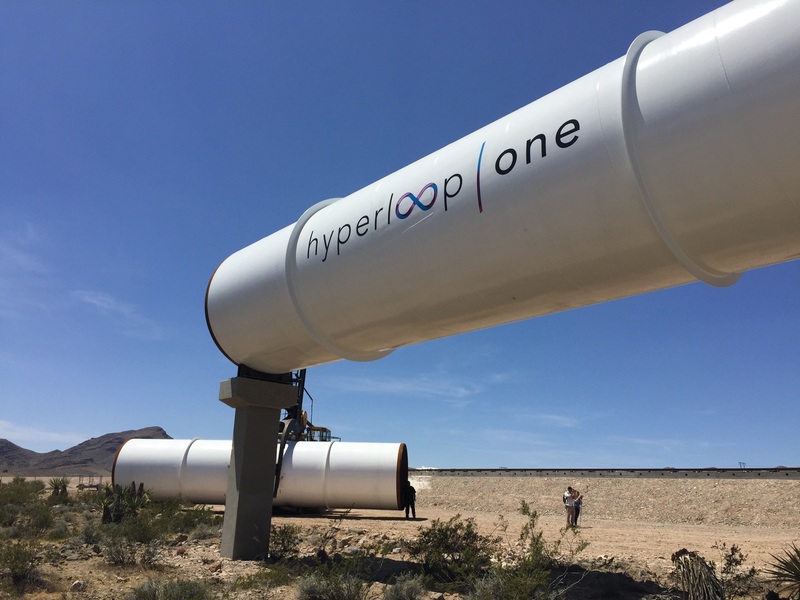 It should be more exciting than Hyperloop One’s first public test last May, which featured a 10-foot-long sled flying down a short train track and then crashing into a pile of sand. Perhaps ironically, Giegel stressed the need to move slowly and iteratively as it develops its ultrafast technology. If it works, the hyperloop could vastly simplify intercity travel and freight, reduce congestion and pollution, and potentially revolutionize transportation worldwide. When he first introduced the idea back in 2013, Musk called it a “fifth mode of transportation.” (The other four being cars, trains, airplanes, and boats.) There’s no question the hyperloop could be transformative... in a perfect world, that is. In the meantime, Hyperloop One needs to raise sufficient amount of capital to fuel its high-velocity dreams. Last week, the company promoted Brent Callinicos from senior advisor to chief operating officer and chief financial officer. Callinicos was brought on board last October from Uber, where he helped build the ride-hailing startup into the world’s most valuable tech company. 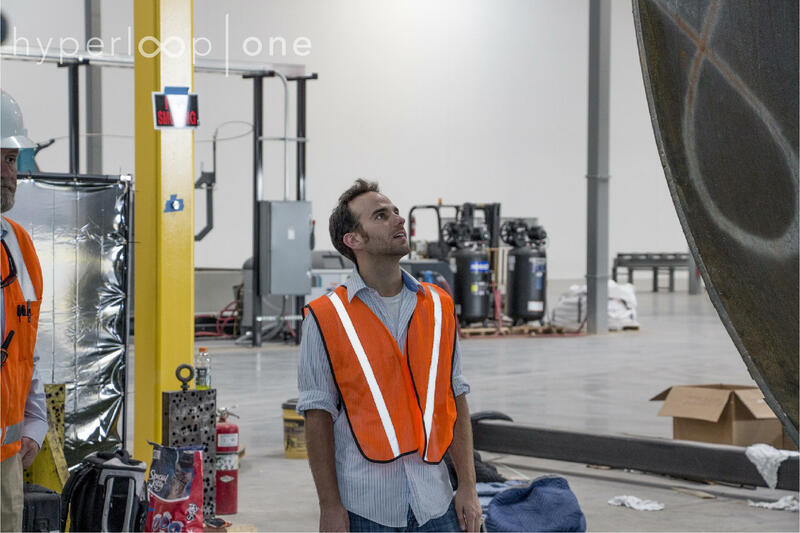 Earlier this month, Hyperloop One announced the winners in a “global challenge” it launched to find additional possible routes across the world. Over 2,600 submissions were whittled down to 35 semifinalists from 17 countries. One route suggests a triangular hyperloop linking Austin, Dallas, and Houston. Another would build a hyperloop between Mumbai and Delhi. The company will host three events over the next few months to showcase the winners: February 28th in New Delhi, April 6th in Washington, DC, and April 27th in London. The next round of finalists will be announced in May. Not every one of these will become a hyperloop route, but they provide a snapshot of the level of international enthusiasm that exists. Indeed, while the first test will be conducted in the US, the first operational hyperloop is most likely to be built between Dubai and Abu Dhabi, thanks to the full-throated support from the Dubai Roads and Transport Authority. Earle stressed that without a government buy-in, its doubtful the costly system could obtain the land rights and right-of-way permissions necessary to achieve its promised speeds. The startup also has feasibility studies underway in Finland and Sweden, the Netherlands, Switzerland, Moscow, the Port of Los Angeles, and the UK. The company’s recent flurry of activity is meant to convey the message that Hyperloop One is a serious business working on a serious transportation project with global implications. But it also appears to be an attempt to shift the conversation away from the embarrassing and reputation-damaging lawsuit filed last year by Hyperloop One’s former chief technology officer. The company countersued and eventually both lawsuits were settled in November. No doubt, 2016 was a bit of a roller coaster for Hyperloop One. This year could be even rockier, depending on the company’s ability to demonstrate its viability to its investors, its government partners, and the public, especially those who aren’t convinced that humans were meant to travel at 760 mph on the ground. This article originally appeared at: http://www.theverge.com/2017/1/23/14314986/hyperloop-one-self-driving-car-global-challenge-nevada-test.